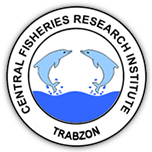 1 Department of Aquaculture, Faculty of Fisheries, Atatürk University, Erzurum,Turkey DOI : 10.17693/yunusae.v17i30729.304263 Viewed : 836 - Downloaded : 314 In this study were researched the effects of the two different dosage application of copper sulphate pentahydrate (CuSO4.5H2O) pesticide and rainbow trout (Oncorhynchus mykiss) was used as the material. As a result of the application period, control and application groups critical swimming speed and blood parameters were investigated. In the rainbow trout, exposed to different doses of the copper sulphate penta hydrate (CuSO4.5H2O) pesticide, critical swimming speed was investigated and the effects was found to be significant (p<0.05). Average critical swimming speed values was found to be 3.550±1.62 bl/sec in the control group, 3.746±2.03 bl/sec in the group applied 0.175 mg/lt and 5.060±0.34 bl/sec in the group applied 0.350 mg/lt.